Holy Begonias, Batman! It’s the SESAT Flower Sale! Only 21 days left to order your flats, pots and gorgeous hanging baskets of begonias, petunias, chrysanthemums, impatiens and more! Beautiful selection, great prices! 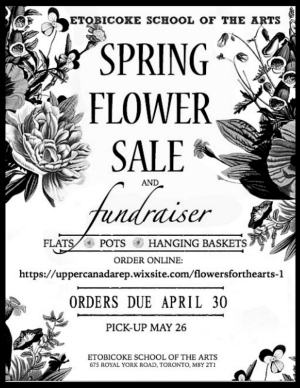 Easy, breezy garden planning and all to benefit ESA students! Follow the link and please forward to friends, family and co-workers. Pick-up date: May 26, 2018th.